Parenting techniques are constantly evolving, and perhaps none are so fraught with tension and confusion as those that revolve around food. Gone are the days when “finish everything on your plate” and “no dessert until you eat all your vegetables” were common practice, and parents are more keenly aware of their influence on children developing disordered relationships with food. So how does a parent help their child make good choices and set them up for health and success? Adults can often be overwhelmed with the Nutrition Facts Table (NFt), so don’t think about teaching their kids that they can make informed food choices based on that information. It doesn’t have to be complicated though, and these 3 tips can help anyone – young or old – make thoughtful decisions about the foods they eat. Begin with Serving Size. All of the information that follows in the NFt is based on the serving size, so be sure to start there. If you eat a different amount than listed in the serving size, you need to adjust the numbers in the NFt accordingly. 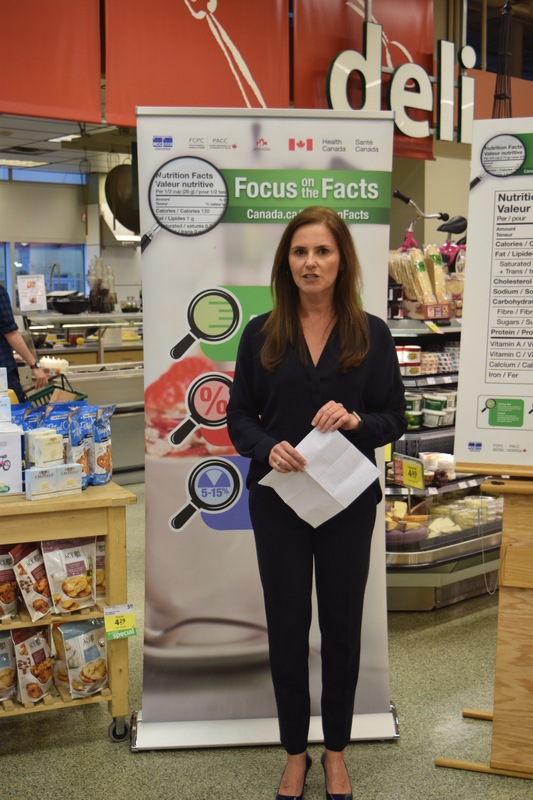 If you’re comparing different brands of food when shopping, be sure to check if the serving sizes are the same before looking at the rest of the nutritional information. Use Percent Daily Value for a Quick Read. Few people know off-hand whether 2.5 grams of fat is a good amount for a serving of food, but the Percent Daily Value (% DV) offers at a glance, the information you need. A Little or A Lot. For an easy to remember rule of thumb, use this tip. A Percent Daily Value of 5% or less is a little of a nutrient, and 15% or more is a lot of a nutrient. So if you’re looking to have less of a nutrient in your foods, look for options that have less than 5% DV. If you’re looking for a lot of a nutrient, then look for an option with 15% or more! 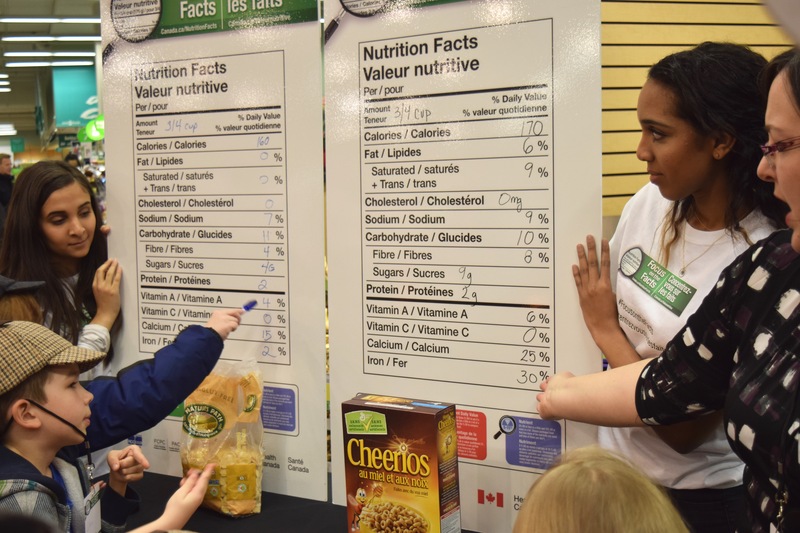 These 3 tips are simple to use, and we got to try them out first hand at a fun, in-store event at Save-On Foods that encouraged our munchkins to become Nutrition Fact Finders, reading and comparing the NFt’s for themselves to make informed choices. They learned how to read the nutrition facts table, and to use the serving size and percent daily value information in comparing foods to make thoughtful decisions on the foods they eat. Then they set off around the grocery store to put their new-found knowledge to the test and brought back foods for group comparison. I encourage you to try this out with your own kids the next time you’re at the grocery store. 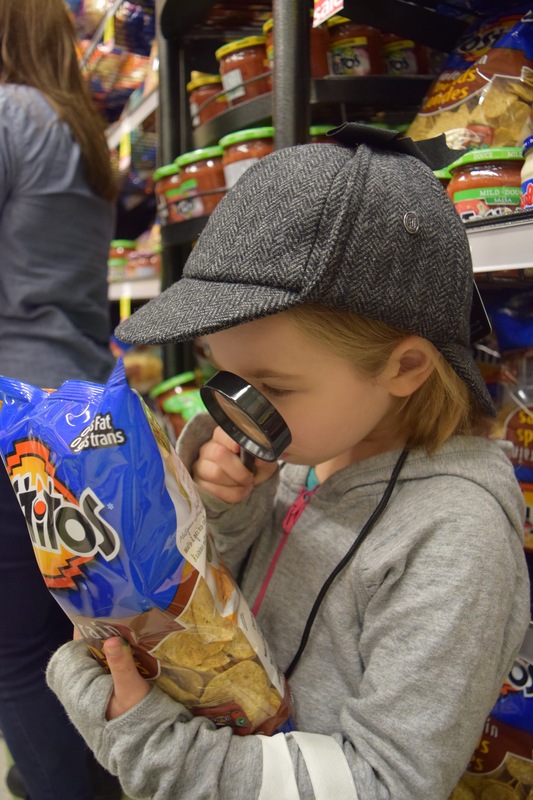 Getting kids engaged in choosing your food will not only make your shopping experience smoother (bye-bye bored kids), but will set them up with great habits for making informed food choices that they can use for the rest of their lives! Interested in learning more? Click here for great information and resources! All on the table disclosure: This post was sponsored by the Food & Consumer Products of Canada (FCPC), Health Canada, Retail Council of Canada (RCC) and the Canadian Federation of Independent Grocers (CFIG), but all opinions are my own and you know I’d never share anything less than super stellar with all my fave readers! Read full disclosure statements here.